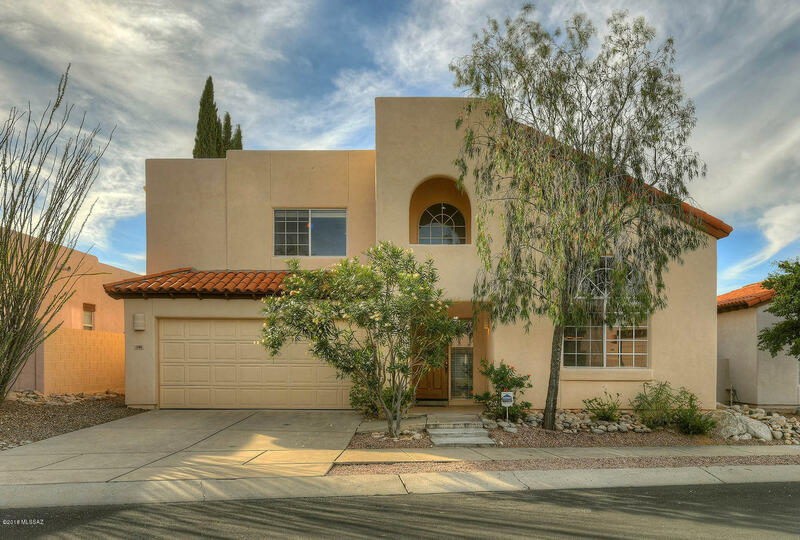 All Rancho Primero (1-78) homes currently listed for sale in Tucson as of 04/23/2019 are shown below. You can change the search criteria at any time by pressing the 'Change Search' button below. "Remodeled Home with Gorgeous Yard! Vaulted Ceiling shelters Great Rm with handsome engineered Wood Floors. Dream Kitchen features solid Natural Maple Cabinetry, 5- Burner Gas Range/ Convection Oven, Microwave. Slab Granite Counters include generous Island w/ Designer Pendant Lights. 2018 New Bosch Dishwasher. Charming Breakfast Nook overlooks Yard. Family Rm with a handsome Fireplace has French Doors opening to Covered Porch & generous, landscaped Yard. Romantic Master with Soaking Tub, Sep Show"